As 2014 comes to a close, it’s time to look back at what the Oilholic was up to and how the oil and gas sector performed in general. The only place to start would be the oil price where those in the business of charting it had a year of two halves. First six months of the year saw Brent, considered a global proxy benchmark, comfortably over $100 per barrel only to see a dramatic decline over the second half of the year that accelerated rapidly in the face of a global supply glut. The US went in general retreat from the global oil markets in meaningful volumes, not needing to import as much given rising domestic shale and tight oil production. Global demand didn’t stack-up like it did in 2013, but producers were unrelenting with output rising from Canada to Russia and OPEC’s production quota staying where it was at 30 million barrels per day (bpd). In fact, make it 30.7 million bpd if you believe in market consensus. End result was (and still is) a buyers’ market with China leading the way, but not importing as much as it used owing to stunted economic activity. From $115 per barrel in the summer, Brent is barely managing to resist a $60 price floor having already breached it once in December. WTI is also plummeted in tandem and is currently trading below $60. 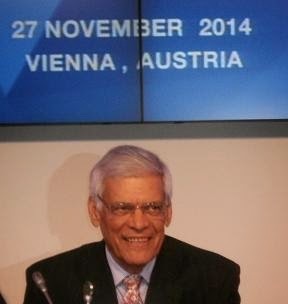 Both OPEC Ministers’ meets for 2014 couldn’t have been held in more divergent circumstances. In June, the quota was held where it was because most in the cartel were happy with a $100-plus Brent price. In November, the quota stayed where it was because the Saudis refused to budge from their position of not wanting a production cut fearing a loss of market share. While Iran and Venezuela did not share their view, the Saudis prevailed as usual for a cut without their backing would have been meaningless. Quite frankly, by not calling an extraordinary meeting when oil hit $85, OPEC missed a trick. Nonetheless, given the existing glut one doubts whether an OPEC cut in November would have had any tangible medium term impact anyway. Saudi Oil Minister Ali Al-Naimi probably thought the same. But where does the price go from here? 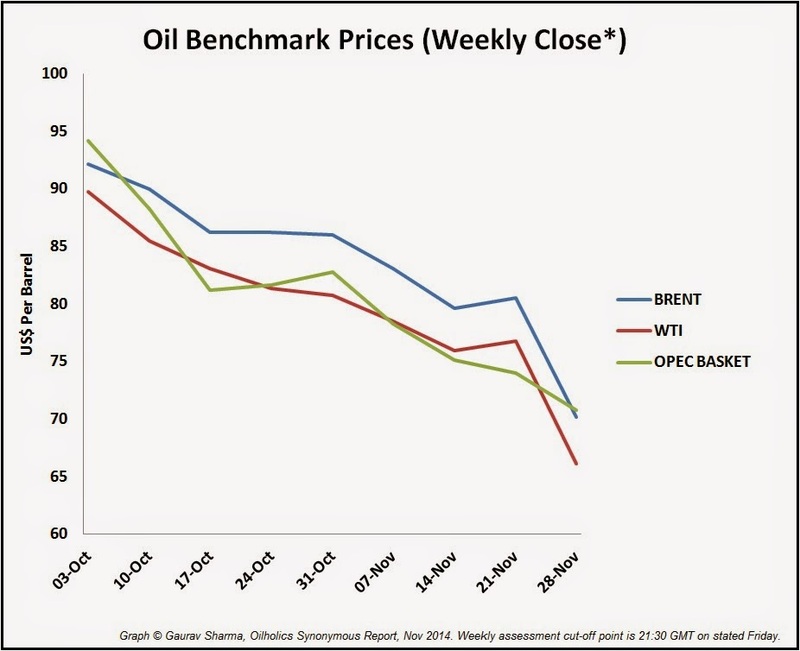 One has to admit that for the first time since this blog appeared on cyberspace in 2009; price averages for both Brent and WTI fell below the Oilholic’s median 2014 forecast. Being a supply-side analyst one has long bemoaned the high oil price right from the days it became manifestly apparent that the US was no longer importing like it used to. And yet net long bets persisted well into the summer of this year courtesy hedge funds and other speculators, until physical traders of the crude stuff refused to buy in to a false spike injected by Iraqi disturbances. Instead of contango, backwardation set in and price hasn’t recovered since with good reason. However, it wasn’t until October that the decline really took hold with OPEC’s decision not to cut production really accelerating the drop over the fourth quarter. The Oilholic would say the market is undergoing profound change of the sort that only comes around once in 20 years or so. Given there so much oil out there and importers aren’t importing as much, risk premium has turned to risk fatigue, while a sellers’ market in the most lukewarm of times has become a buyers’ market in uncertain times. Nonetheless, supply correction is inevitable as unprofitable, especially unconventional exploration, takes a hit and non-OECD demand picks up. The Oilholic is fairly certain that come December 2015, we would once again be around the $80 level for Brent. For the moment, barring a financial tsunami knocking non-OECD economic activity, the Oilholic's prediction is for a Brent price in the range of $75 to $85 and WTI price range of $65 to $75 for 2015. Weight on Brent should be to the upside, while weight on WTI should be to the downside of the aforementioned range. This blogger also does not believe legislative impediments over the US exporting oil are going away anytime soon as the 2016 presidential election draws ever closer. Moving away from pricing, 2014 also saw the oil and gas world mourn the sad death of Total CEO and Chairman Christophe de Margerie in a plane crash in Moscow. Here is the Oilholic's tribute to one of the industry’s most colourful characters. Wider human tragedies overlapping the crude world including Russia’s bid to influence events in Ukraine and the spectre of ISIS over Iraq loomed large. The oil price began hurting Russia by the end of the year with the rouble taking a plastering. Meanwhile in Iraq, given that ISIS controlled areas were far removed from the port of Basra and major Iraqi oil production facilities, risk premium from the unfolding events did not have a lasting impact on oil price barring a momentary spike in June. Nigeria and Libya's troubles continued. In case of the latter, the country now has two oil ministers, two prime ministers but thankfully only one National Oil Company. Yet, geopolitical flare-ups aren't likely to have much of an impact over the first half of 2015 given the amount of oil there is in the market. Away from it all and on a more personal footing, yours truly started writing for Forbes as well as commentating on Tip TV on a regular basis over 2014, alongside various other ‘crude’ engagements. Going on the road (or air) in pursuit of ‘crude’ intel, saw the Oilholic visit Rotterdam, Istanbul, San Francisco, Zagreb, Tokyo, Hong Kong and Shanghai. The 21st World Petroleum Congress meant a return to the host city of Moscow after a gap of 10 years. Invariably, the Ukrainian stand-off cast a shadow over an event dubbed the Olympics of the oil and gas business. One also got a chance to interview ex-Enron whistleblower turned academic Dr Vincent Kaminski in Houston and IEA Chief Economist Dr Fatih Birol more closer to home. Among several senior executives one got a chance to interact with were C-suite executives from EDF, Tethys Petroleum, Frontier Resources, Primagaz and Rompetrol to name but a few. Many fellow analysts, commentators, traders, academics, legal and financial experts shared their insight and valuable time on on-record while others preferred an off-record chat. Both sets have the Oilholic’s heartfelt thanks. Rather unusually, this blogger found political satirist and comedian Jon Stewart’s take on the farce that’s become of the Keystone XL project bang on the money. Finally, the Oilholic also reviewed some ‘crude’ books to help you decide whether they are for you or not. It's been a jolly crude year and one that wouldn't have been half as spiffing without the support of you all - the dear readers of this blog. Here goes the look back at Crude Year 2014. As the Oilholic Synonymous Report embarks upon its sixth year on the Worldwide Web and the eighth year of its virtual existence – here's wishing you a very Happy New Year! That’s all for 2014 folks! Keep reading, keep it ‘crude’! The Oilholic is feeling somewhat melancholy today! A crisp rouble note yours truly kept as a memento following a visit to Moscow in June is now worth considerably less when pitted against one’s lucky dollar! At one stage over the past 24 hours, the US$1 banknote on the left was worth 79% of the RUB100 note on the right. 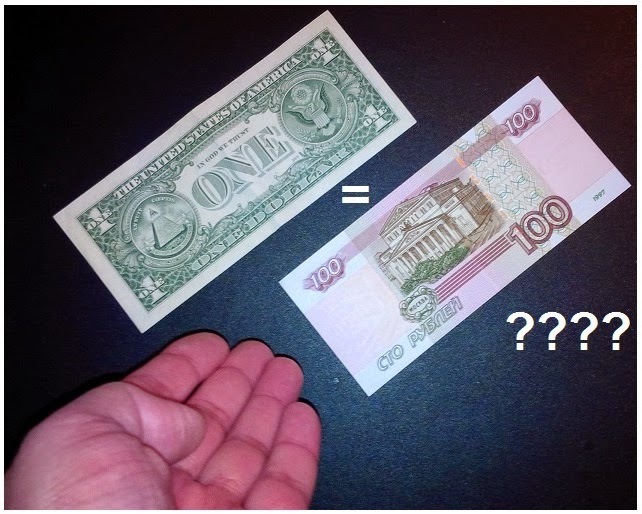 One doubts whether a dollar would fetch a 100 roubles - but just putting it out there. Barring a brief jump when the Russian government went for a free float of the currency back in November, there hasn’t been much to be positive about the rouble. Last evening’s whopper of an announcement by the Central Bank of Russia to raise interest rates by 650 basis points to 17% from 10.5% did little more than provide temporary respite. Since January till date, Russia has spent has spent over $70 billion (and counting) in support of the rouble. Yet, the currency continues to feel the strain of escalating sanctions imposed by the West in tandem with a falling oil price. However, there is a very important distinction to be made here. A falling oil price does not necessarily imply that Russian oil companies are in immediate trouble, repeat ‘immediate’ trouble. While a weak rouble makes imports costlier for the wider economy, which will almost certainly tip into a recession next year; oil – priced and exported in dollars - will get more ‘domestic’ bang for the converted bucks. The Russian Treasury also adjusts tax and ancillary levies on oil exports in line with a falling (or rising) oil price. The policy is likely to keep things on a sound footing for the country’s oil & gas companies, including state-owned behemoths, for at least another 12 months. How things unfold beyond that is anybody’s guess. First off, several Russian oil & gas players would need their next round of refinancing late next year or early on in 2016. With several international debt markets off limits owing to Western sanctions, the state will have to step in at least partially. Secondly, the oil price is unlikely to stage a recovery before the summer, and would be nowhere near $100 per barrel. If it is still below $85 come June, as the Oilholic thinks it would be and the rouble does not recover, then corporate profits would take a plastering regardless of however much the Russian Treasury adjusts its tax takings. Of course, not all in trouble would be Russian. Austrian, French and German banks with exposure to the country, accompanied by Russia-centric ETFs and Arctic oil & gas exploration will be hit hard. Oil majors with exposure to Russia are already taking a hit. In particular, BP springs to mind. However, as the Oilholic opined in a Forbes article earlier this year - while BP could well do without problems in Russia, the company can indeed cope. For Total and Exxon Mobil, the financial irritants that their respective Russian forays have become of late would not be of major concern either. Taking a macro viewpoint, market chatter about a repetition of the 1998 crisis is just that – chatter! Never say ‘never’ but a Russian default is highly unlikely. Kit Juckes, global head of forex at Société Générale, says, “Comparisons with past crises – and 1998 in particular – are inevitable. The differences are more important than the similarities. Firstly, emerging market central banks (including and especially Russia) have vastly larger currency reserves with which to defend their currencies. The final difference, Juckes says, is that the rouble, in particular, is falling from a very great height in real terms. “It has only fallen below the pre-1998 peak in the last few days. It's still not cheap unless we believe that the gains in the last 16 years are all justified by productivity – an argument that works for some emerging market economies rather more than it does for Russia.," he concludes. Finally, there is no disguising one pertinent fact in the entire ongoing Russian melee – the manifestly obvious lack of economic diversification with the country. Russia has remained stubbornly reliant on oil & gas exports and its attempts to diversify the economy seem even feebler than Middle Eastern sheikdoms of late. For this blogger, the lone voice of reason within Russia has been former Finance Minister Alexei Kudrin. As early as 2012, Kudrin repeatedly warned of impending trouble and overreliance on oil & gas exports. Few Kremlin insiders listened then, but now many probably wish they had! That’s all for the moment folks! Keep reading, keep it ‘crude’! © Gaurav Sharma 2014. Image: Dollar versus Rouble: $1 and RUB100 banknotes © Gaurav Sharma, 2014. The US$60 per barrel floor was well and truly breached on Friday as the WTI dropped to $57.48 at one point. The slump is continuing into the current week as Brent lurks around $60 in early Asian trading. The scenario that most said would set alarm bells ringing within the industry is here. Since no one is predicting the current supply glut to ease anytime soon, not least the Oilholic, that the readers should expect further drops is a no brainer. Odds have shortened considerably on OPEC meeting well before June as was announced last month. Nonetheless, speaking in Dubai, OPEC Secretary General Abdalla Salem El-Badri said, “The decision [not to cut production] has been made. Things will be left as is. We are assessing the situation to determine what the real reasons behind the decrease in oil prices are.” So is perhaps half the world! 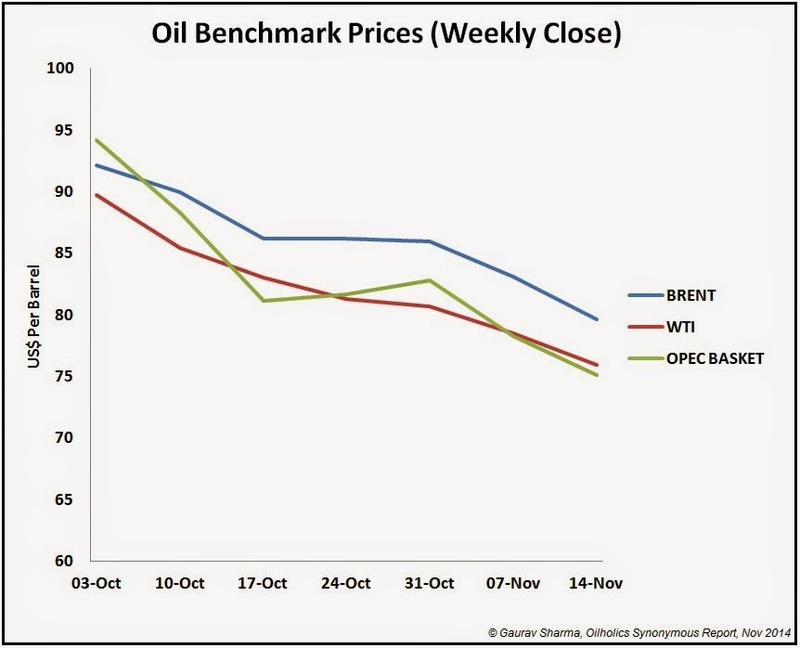 In the Oilholic’s humble opinion Brent could even dip below $50 fairly soon. However, supply constriction will eventually kick-in to support prices over the second half of 2015. In the interim, we’ll see a few interesting twists and turns. The Oilholic feels it’s prudent not to ignore the emphasis on the words “more slowly”. Fitch says overcapacity and intense competition from overseas refineries still plague European refining. “Further capacity reductions may be needed to restore the long-term supply and demand balance in Europe, while competition from Middle Eastern, Russian and US refineries, which generally have access to cheaper feedstock and lower energy costs, remains strong,” it added. More generally speaking, in the Oilholic’s assessment of the impact of lower oil prices on the FTSE 100 trio of Shell, BP and BG Group; both Shell and BP outperformed in the last quarter by 6% and 11% respectively, according to published data, while BG Group’s underwhelming performance had much to with other operational problems and not the price of the crude stuff. While published financial data is backward looking, and the slump in prices had not become as pronounced at the time of quarterly results as it currently is, it's not all gloomy. However, the jury is still out on BG Group. The company is responding with incoming CEO Helge Lund waiting to take charge in March. Last week, BG Group agreed to sell its wholly-owned subsidiary QCLNG Pipeline Company to APA Group, Australia’s largest gas infrastructure business, for approximately $5 billion. 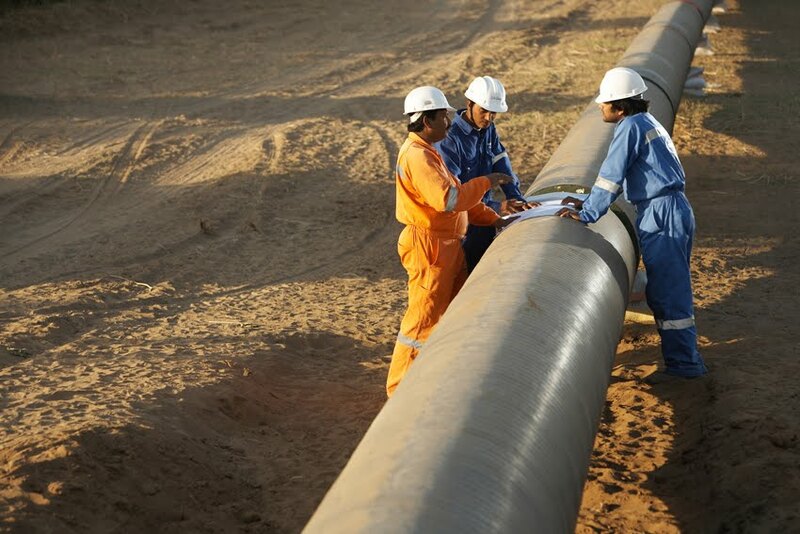 QCLNG Pipeline company owns a 543 km underground pipeline network linking BG Group’s natural gas fields in southern Queensland to a two-train LNG export facility at Gladstone on Australia’s east coast. The pipeline was constructed between 2011 and 2014 and has a current book value of US$1.6 billion. “The sale of this non-core infrastructure is consistent with BG Group’s strategy of actively managing its global asset portfolio,” it said in a statement. While largely welcoming the move, most analysts have reserved judgement for the moment. “The sale is broadly supportive to the company's credit profile. However, we will need to be comfortable with the use of proceeds and progress with BG's planned output expansion before we change the current negative outlook,” as analysts at Fitch wrote in a note to clients. Reverting back to Shell and BP, the former has quietly moved ahead of the latter and narrowed the gap to market leader ExxonMobil. Strong downstream results helped all three, but Shell’s earnings recovery over the year, was the most impressive according to Neill Morton, analyst at Investec. “Despite its modest valuation premium, we would favour Shell’s more defensive qualities over BP in the current uncertain industry environment,” he added. Let's not forget the Gulf of Mexico oil spill fallout that BP is still getting to grips with. Moving away from FTSE 100 oil majors and refiners, UN Climate Change talks in Peru ended on a familiar underwhelming note. Delegates largely cheered at the conclusion (which came two days late) because some semblance of something was achieved, i.e. a framework for setting national pledges to be submitted at a summit next year. The final communiqué which can’t be described as anything other than weak is available for download here should it interest you. Problem here is that developed markets like lecturing emerging markets on CO2 emissions, something which the former ignored for most of 20th century. It won't work. Expect more acrimony, but hope that there is light at the end of a very long tunnel. On a closing note, here’s the Oilholic’s latest Forbes column on the Saudis not showing any signs of backing down in the ongoing tussle for oil market share. Also over past few weeks, this blogger reviewed a few ‘crude’ books, namely – Energy Trading and Risk Management by Iris Marie Mack, Marketing Big Oil by Mark Robinson, Putin and the Oligarch by Richard Sakwa and Ownership and Control of Oil by Bianca Sarbu. Here’s hoping you find the reviews useful in deciding whether (or not) the titles are for you. That’s all for the moment folks! Keep reading, keep it ‘crude’! Several nations are about to join the ‘Petroleum Club’ of crude oil producers where they’ll rub shoulders with well established patrons of the hydrocarbon exporters' fraternity. The policymaking choices they face today could have a massive bearing on the future direction of their economies and overall management of national oil wealth. Every national market’s direction is ultimately shaped by the level of control its government wishes to have over domestic exploration and production. Some do not have a national oil company (NOC), yet others give most of the decision-making and clout to a state entity. 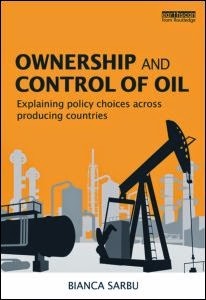 Factoring in developments and case studies till date, academic Bianca Sarbu delves into the key issue of state influence in her book Ownership and Control of Oil published by Routledge. The author discusses different decisions taken by governments, subsequent outcomes, emerging themes and industry trends in their wake. In a book of just under 200 pages, split into six detailed chapters, Sarbu substantiates her arguments by pulling in case studies – both recent and historic – and puts forward conclusions confronting theoretical explanations. The text is peppered with figures, tables and charts lending veracity to Sarbu’s scrutiny of government decisions in key oil producing countries. Her painstaking analysis of upstream policies on a pan-global level helps the readers compare and contrast what’s afoot, where, and why. An entire chapter is dedicated to profiling Saudi Arabia and Abu Dhabi based on Sarbu’s in-depth research and direct interviews with over 30 energy experts on both countries. Holistic examination of NOCs’ role in oil production since the nationalisations of the 1970s from sheikdoms to democracies, leads the author to some interesting conclusions. From first impression to midway scrutiny, all the way up to ultimate conclusion, Sarbu’s treatment of the subject at hand is solid. Its an invaluable contribution towards wider understanding and contextualisation of policy frameworks within emerging and established oil producing countries and the impact they have had or are likely to have for better or worse. The Oilholic would be happy to recommend this title primarily to industry consultants. That said policymakers, oil and gas sector professionals in general, as well as students of petroleum economics and the Middle East would appreciate it in near equal measure. © Gaurav Sharma 2014. Photo: Front Cover – Ownership and Control of Oil © Routledge, May 2014. Given the historical and perhaps customary negativity surrounding oil and gas majors in the best of times, working on their marketing pitches and brand equity enhancement is not for the faint hearted. Environmental disasters and subsequent public relations fiascos in wake of incidents such as Exxon Valdez and BP’s Gulf of Mexico oil spill have only reinforced negative perceptions about ‘Big Oil’ in the minds of many. 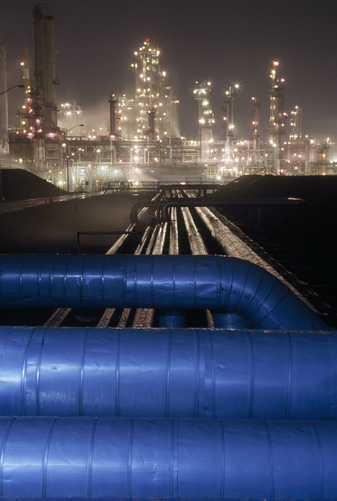 It all dates way back to Standard Oil, a company often castigated for its practices in the last century, writes Mark Robinson, professor of marketing at Virginia International University, in his recent work Marketing Big Oil published by Palgrave Pivot. With pitfalls aplenty for oil and gas marketing professionals, the author has attempted to offer guidance on the arduous task by going well beyond the mundane 'do’s' and 'don’ts' in a book of just under 160 pages, split into five parts and 17 splendidly sequenced chapters. As it happens, Robinson knows more than a thing or two about marketing Big Oil, having been an industry executive at Deloitte’s Global Energy & Resources Group and ExxonMobil. His book provides adequate subjective treatment, lessons from history and what approaches to adopt if marketing Big Oil is what you do or intend to do. Starting with the historical context provided by Standard Oil, the author leads readers on to present day challenges faced by oil and gas companies as we’ve come to know them. The Oilholic really liked Robinson’s no holds barred analysis of marketing and branding exercises undertaken by industry participants and his detailed examination of what worked and what tanked given the millions that were spent. The author says throwing money at a campaign is no guarantor of success as many companies within the sector have found out to their cost. Managing pitfalls forms an integral part of Robinson’s message; just ask BP with its ‘Beyond Petroleum’ slogan. Perceived disconnect between the slogan, what the company was up to, and subsequent events made it sound farcical. The saga, what went wrong with the campaign and lessons in its wake are described in some detail by the author. Additionally, a part of the book is dedicated to managing a brand crisis. The entire text is well referenced and accompanied by 14 brand lessons treating various crucial marketing facets. Analysis of the industry's use of social media, e-commerce, mobile apps and digital advertising is fascinating too. Overall, Robinson’s engaging and timely book on a complex marketing arena brings forth some 'crude' home truths, backed up by historical context and lessons from the corporate world, all weaved into a balanced industry perspective on the state of affairs in a digitally savvy world. Budding marketing professionals as well as industry veterans, and those interested in how some of world’s biggest oil and gas companies succeed (or fail) in etching their global brand equity would find this book to be a thoroughly good read. © Gaurav Sharma 2014. 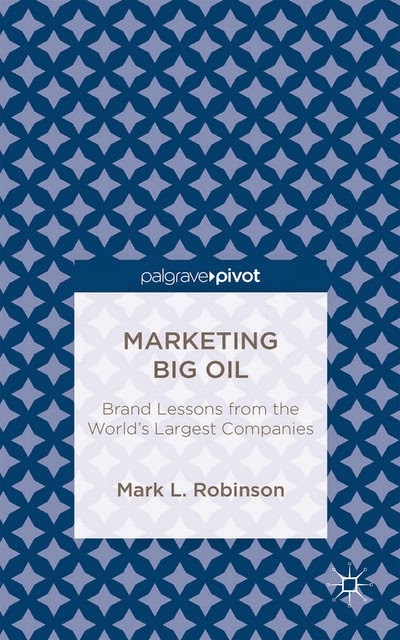 Photo: Front Cover – Marketing Big Oil: Brand Lessons from the World's Largest Companies © Palgrave Macmillan, July 2014. President Vladimir Putin and what colours his vision of modern Russia are under the spotlight like never before. As Ukraine burns and western sanctions hit the Kremlin, Russia’s president remains defiant spewing yet stronger nationalistic rhetoric with a coterie of supporters in tow. Many would find internal politics in Putin’s Russia to be fascinating and repugnant in equal measure. Yet, in order to understand the present, a past occurrence – the downfall of Yukos and its former chief Mikhail Khodorkovsky – would be a good starting point. In his latest work published by I.B. Tauris, academic Richard Sakwa not only describes the episode in some detail but also contextualises power struggles and insecurities that shaped one of the most controversial episodes in contemporary Russia. This book isn’t merely Khodorkovsky's story from an unceremonious arrest in 2003 to a surprising release in December 2013. Rather, the author has taken that backdrop to give the readers an insight into the beginning and subsequent evolution of ‘Putinism’ as we know it. In just under 300 pages split by 12 chapters, Sakwa, an expert on Russian affairs with half a dozen works under his belt, has portrayed the event as an extraordinary confrontation between the two great forces of modernity – the state and the market – with Putin and Khodorkovsky as antagonists. “It was about their associated conceptions of freedom and at the same time – a struggle for Russia,” he writes. Putin’s determination to clip Khodorkovsky’s petrodollar powered wings marked a turning point. The oligarch’s controversial trial(s) attracted widespread international condemnation and ended in one of the world's richest and most powerful men becoming the state's prisoner. Far-reaching political and economic consequences in its wake left an indelible black mark about the quality of freedom in Putin's Russia. It also laid bare the complex connection between the Kremlin and big business during Russia's troubling transformation from a planned economy during the Soviet era to capitalism. Being an outsider, it is easy to feel sympathetic towards Khodorkovsky and castigate the Russian way. However, by not overtly romanticising Khodorkovsky's resistance to Putin’s view of modern Russia, Sakwa paints a convincing picture of how the oligarch turned prisoner himself was no stranger to the contradictory essence of the country's democratic evolution. As the author notes, Khodorkovsky was not only Putin’s antagonist, but also at the same time a protagonist of the contradictions that the president's regime reflected. Ultimately, it all leads on to how subversion of law and constitutionality has become commonplace in today’s Russia. While the said subversion started taking hold in post-Soviet Russia, and Khodorkovsky most certainly used it to his advantage when it suited him; it was the oligarch’s ultimate downfall that made the state of affairs manifestly obvious beyond the country’s borders. It resonates today with Putin’s modus operandi as entrenched as ever. Through his brilliant, balanced description of a key episode in Russia’s rise towards becoming an oil and gas powerhouse, Sakwa has charted a warning from history on what to expect and where it might lead. The Oilholic would be happy to recommend Putin and the Oligarch to energy analysts, those interested in geopolitics, Russia, Yukos Affair or the oil world at large. © Gaurav Sharma 2014. 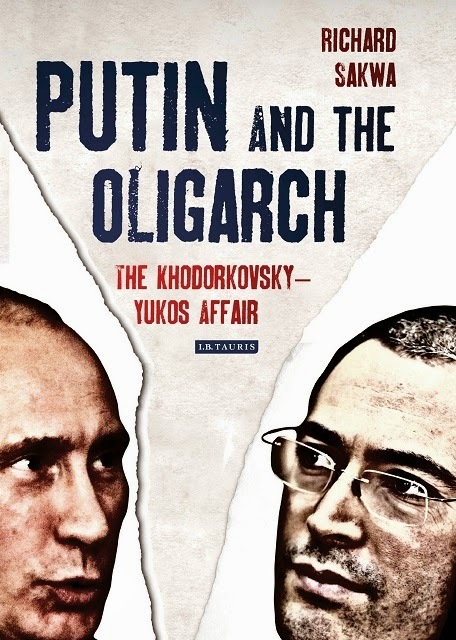 Photo: Front Cover – Putin and the Oligarch: The Khodorkovsky-Yukos Affair © I.B. Tauris, February 2014. Some wanted a production quota cut; others didn’t and in the end it all bottled down to what the Saudis wanted – a rollover of the level set at 30 million barrels per day (bpd) since December 2011. So as the 166th meeting of OPEC ministers ended, Al-Naimi departed Helferstorferstrasse 17 - OPEC's HQ in Vienna, Austria having got his wish. Had a cut been enforced and the Saudis not respected the agreement, it would have been meaningless. So the announcement did not come as much of surprise to many analysts, yours truly including. For a spot report, you are welcome to read the Oilholic’s take on Forbes and the ‘longstanding’ Secretary General Abdalla Salem El-Badri’s jovial press conference explaining why the cartel acted as it did in the interests of “market equilibrium and global wellbeing”. Rather calmly, OPEC has also suggested it would hold its next meeting in June as normal and extended El-Badri’s term until December 2015. But the Oilholic suspects a US$60 per barrel floor would be tested sooner than most expect. Will an extraordinary meeting be called then? Will OPEC let things be until it meets again June? 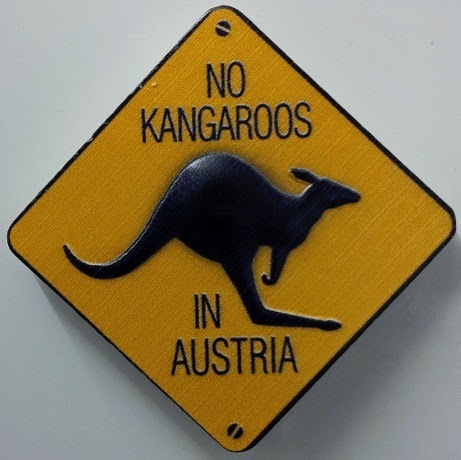 What about Venezuela, Iran and Nigeria who will leave Vienna thoroughly dissatisfied? It is indeed credible to assume that OPEC will grin and bear the oil price decline in the interest of holding on to its 30% share of the global crude markets for the moment. But for how long as not all are in agreement of the decision taken today? Barely minutes after El-Badri stopped speaking, Brent shed a dollar. Within the hour it was trading below $73 a barrel while the WTI slid below $70. We’re now formally in the territory where it becomes a game of nerves. For the moment, none of the major oil producing nations, both within and outside OPEC, are willing to cut production even when demand for oil isn’t that great. Should bearish trends continue, will someone blink first? Will finances dictate a production decline for someone? Will some or more of the producers come together and take coordinated action with OPEC? These are the million barrel questions! The latter option was attempted in Vienna bringing the Russians and Mexicans to the table, but the Saudis ensured it didn't succeed. The next four months ought to be interesting. On that note, it's good night from OPEC HQ. Analysis and a post mortem to follow over the coming days, but that’s all for the moment folks! Keep reading, keep it ‘crude’! Having had enough of briefing scribes and analysts over the past few days and giving little away, Saudi Oil Minister Ali Al-Naimi told all surplus inquirers to bugger off at this morning’s pre-conference OPEC media scrum. He has stubbornly stuck to the quip that the market has been where it is at the moment before and it will stabilise like it has always done in the past. The only problem is the current supply scenario is unlike anything we’ve witnessed over the last two decades in the Oilholic’s humble opinion, with plenty of the crude stuff around much lower than anticipated demand. Contrary to what some might feel here at OPEC HQ, Al-Naimi is not ignoring this profound change but rather tackling it head on for his country first and foremost. It’s an instinct called self-preservation. Separate discounts on asking price offered to Asian and US buyers by Saudi Aramco, along with anecdotes about the Saudis sending direct feelers on longer term deals with buyers in the Far East are stacking up. If the US is not buying much, China, India, Japan and South Korea are still in the market for and when (not if) there is an uptick demand. The Saudis do not want to see a return to the 1980s. If that’s the case, what’s afoot at OPEC with Al-Naimi not attaching importance to a cut in output, is collateral damage. Upsetting a few who don’t like you anyway, thereby making a dysfunctional organisation more dysfunctional should matter little in a high stakes game. Furthermore, Al-Naimi’s soundbites leading up to and at the OPEC meeting seem to suggest he feels the price correction is likely to continue well into 2015. Barely days before the OPEC meeting, Moody’s said on Monday that the steep drop in prices since the middle of this year has led it to lower its pricing assumptions for Brent and WTI by $10 in 2015 and $5 in 2016. As a footnote, Moody's also changed its outlook for the global independent exploration and production sector to negative from positive, for the global oilfield services and drilling sector to negative from stable, and for the global integrated oil and gas sector to stable from positive. Most non-governmental Middle Eastern commentators known to the Oilholic see the price dropping to as low as $60 per barrel. Agreed, the price might get temporary support from a potential OPEC production cut along with colder chimes that a Northern Hemisphere winter brings with it. Yet, a further drop in price is all but inevitable before supply correction and improving economics provide a floor later on in 2015. In the meantime some at OPEC will continue to struggle, especially Venezuela, a country that needs a fiscal breakeven of over US$160 per barrel, as will Iran which would need $130 upwards. Fitch Ratings’ Paul Gamble says Ecuador is another OPEC member to keep an eye on if the oil price slide continues. This is in marked contrast to IMF estimates about Saudi Arabia needing an average oil price of $90.70, UAE $73.30, Kuwait $53.30 and Qatar $77.60. Some at OPEC have a very different problem - that of finding new buyers and diverting the crude stuff originally extracted with the US in mind. That includes Angola and Nigeria. 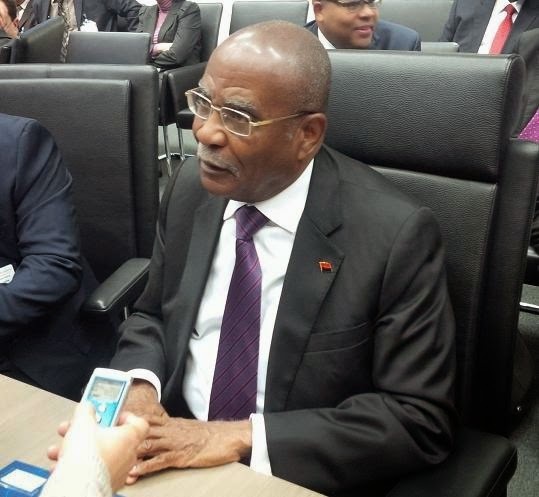 At a media scrum earlier in the day, Angolan oil minister Jose Maria Botelho de Vasconcelos told the Oilholic that ensuring diversity of the country’s client base was crucial. Choosing not to comment about entering into a bidding war with fellow OPEC member and neighbour Nigeria, de Vasconcelos said there was room for everyone and new partners to ensure stability of supply. “We'd get a bigger reaction to a successful output reduction, of course than to the lack of change that is now widely expected. If oil prices do continue their fall the winners are more likely to be the emerging markets currencies rather than the G10 ones.” Its 14:30GMT and there’s no agreement yet. That’s all for the moment from Vienna folks! Keep reading, keep it ‘crude’! It’s been a long six months between OPEC meetings with the oil price slipping almost 35% since June and the organisation's own average monthly basket price of 12 crude oils dropping 29%. Returning to Vienna for the 166th OPEC Meeting of ministers, the Oilholic finds his hosts in a confused state. It’s not only a case of “will or won’t” OPEC cut production, but also one of “should or shouldn’t” it cut. As yours truly wrote in his regular quip for Forbes – the buyers’ market that we are seeing is all about market share. That matters way more than anything else at the moment. Of course, not all of OPEC’s 12 member nations are thinking that way at a time of reduced clout in wake of rising non-OPEC production and the US importing less courtesy of its shale bonanza. For some, namely Iran, Venezuela and Nigeria – the recent dip is wreaking havoc in terms of fiscal breakevens. For them, something needs to be done here and now to prop up the price with a lot of hush-hush around the place about why a cut of 1 million barrels per day (bpd) would be just the ticket. Yet there are others, including Kuwait, UAE and Saudi Arabia who realise the importance of maintaining market share as they can afford to. 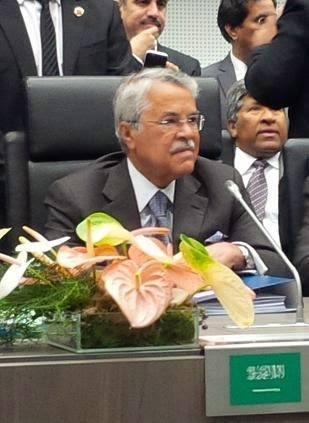 Just listen to the soundbites provided by Saudi oil minister Ali Al-Naimi. The current problem of “oversupply is not unique” as the market has the capacity to stabilise “eventually”, he’s said again and again in Vienna, ahead of the meeting over umpteen briefings since Monday. And if the Saudis don’t want a cut, it’s not going to happen. Secondly, as this blogger has said time and again from OPEC – in the absence of publication of individual quotas, even if a cut materialises how will we know it’ll not be flouted as has often been the case in the past? In fact, it’ll be pretty obvious within a month who is or isn’t sticking to it and then the whole thing unravels. Perhaps enforcing stricter adherence would be a good starting point! Finally, only for the second time in all of one’s years of coming to OPEC have there been so many external briefings by all parties concerned and that number of journalists attending the ministers' summit. To put things into perspective, while the Oilholic has been here for every OPEC meeting since 2007, more than twice the usual number of analysts and journalists have turned up today indicative of the level of interest. I think the extraordinary meeting in 2008 was the last time such a number popped into town. All were duly provided with plenty of fodder to begin with as Saudi Arabia met with Russia, Venezuela, and Mexico to “discuss the oil market” and establish a “mechanism for cooperation” to cite Venezuelan oil minister Rafael Ramirez. While everyone talked the talk, no one walked the walk with the mini meeting ending in zero agreement. It’d be fair to say the Saudis have kept everyone guessing since but Russian Energy Minister Alexander Novak expressed scepticism whether OPEC would cut production from its stated 30 million bpd level. On the sidelines are plenty of interesting headlines and thoughts away from the usual “oil price falls to” this or that level “since 2010”. Some interesting ones include – French investigation of Total’s dealings in Iran is still on says the FT, Reuters carries an exclusive on the chaos over who’ll represent Libya at OPEC, why Transportation ETFs are loving cheap oil explains ETF Trends, Bloomberg BusinessWeek says Iran is still pitching the 1 million bpd cut idea around and after ages (ok a good few years) the BBC is interested in OPEC again. Additionally, IHS says US production remains healthy while Alberta's Premier says falling oil prices won't cause oil sands shutdowns. That’s all from Vienna for the moment folks! Keep reading, keep it ‘crude’! Despite much being afoot in the crude oil world, there’s only one place to start and that’s the ongoing farce over the Keystone XL pipeline extension project. A continuation of US President Barack Obama’s dithering over approval of the transnational pipeline extension (from Alberta, Canada to Texas) is not a major surprise. However, an unassailable truth flagged up by none other than comedian and political satirist Jon Stewart certainly is! It seems many controversial decisions, including Keystone XL’s approval, were delayed by the Obama administration until after the US mid-term elections undoubtedly to calm worried Democrats (who were in for, and eventually did get, an electoral pasting) so that they didn’t have to take a political stand on these issues one way or another. So when Obama delayed approval of Keystone XL (again!) in April this year, that helped the President’s mates both for and against the project. Especially, senators Mary Landreiu (D-Louisiana), Mark Begich (D-Alaska), Mark Pryor (D-Arkansas) and Kay Hagan (D-North Carolina) all in red states favouring the project, who then used the delay as a pretext to criticise and "distance themselves" from the president. Conversely, blue states Democrats thought they got points for criticising the pipeline extension project to pander to opposing sentiments of their respective electorates. It was supposed to be a win-win situation; except for one thing - they all LOST and Landreiu, who is facing a tough run-off is going to, chuckled Stewart on The Daily Show broadcast for November 6 evening. This week, the "old" senate rejected approval of Keystone XL, one of its last acts before the new Republican controlled senate convenes. At which point, the "new" senate will approve it and then one assumes the President would veto it. Then Democrat presidential candidate(s), including one Hillary Clinton who is said to be in favour of the pipeline, will take their respective positions either denouncing or praising the decision and so it goes. Both those for and against the project should despair over the state of affairs. However, on the bright side they’ll be plenty of material for Stewart to bring a bit of laughter into our lives. As for the Canadian side, they are a patient bunch and among their ranks are some who quietly (and somewhat correctly) believe their country's need for the pipeline is diminishing as China's footprint on the global crude oil market grows ever bigger than that of the US. Meanwhile, by sheer coincidence barely days after the Oilholic went on Tip TV to discuss the challenging climate for oilfield services (OFS) companies (including why the Kentz takeover in August by SNC-Lavalin would not have happened now at the price it did back then), came the mother of all moves – Halliburton’s for Baker Hughes. In case you’ve been on another planet and haven’t heard, Halliburton has agreed to buy rival Baker Hughes in a cash and shares deal worth US$34.6 billion. The transaction has been approved by both companies' boards of directors and is expected to close in late 2015, pending regulatory approval. As the oil price has fallen by a third since the summer, demand for OFS has cooled and a coming together of the second and third placed services providers makes sense in a cyclical industry. Nonetheless, the announcement and speed of agreement took many by surprise. Dave Lesar, CEO of Halliburton, told CNBC's Squawk on the Street program on Tuesday that Baker Hughes brings complimentary product lines to the merger which his company does not have. “Furthermore, we would not have done this deal if I did not believe that we could get this through the regulatory bodies,” Lesar said. There you have it, and it’d cost $3.5 billion in payments to Baker if he is wrong and regulators block the deal. The Halliburton CEO largely sidestepped commenting on the Keystone XL farce and the oil price tumble, except adding on the latter point that: “We’re not in the bunker yet!” As OPEC meets on November 27, the market is in a sort of “pause still” mode. Brent is lurking just below $80 level, while the WTI is around the $75 level (see right, click to enlarge). The Oilholic’s gut instinct, as one told Tip TV, is that OPEC has left it too late to act and should have made a call one way or another via an extraordinary meeting when the Brent fell below $85. So if they cut now, will it have the desired impact? Meanwhile, Producers for American Crude Oil Exports (PACE), says repealing the ban on US crude oil exports will not only create hundreds of thousands of jobs and grow the economy, it will benefit consumers by “lowering gasoline prices” contrary to opinion expressed in certain quarters. That conclusion, it says, is supported by no less than seven independent economic studies. These include the Brookings Institution, IHS Energy, Dallas Federal Reserve Bank, and the US Government Accountability Office, among others. Finally, Fitch Ratings says the 25% drop in the oil price since July is likely to lift economic growth prospects, improve terms of trade, and have a potentially positive credit impact for a number of Asian economies if the lower prices are sustained below $90 level through 2015. Most major Asian economies - including China, Japan, Korea and Thailand - would see an effective overall income boost from sustained lower oil prices, the agency said. In addition, countries with large oil import needs facing external adjustment pressures such as Indonesia and India are among the best positioned to see a positive impact on sovereign credit profiles, although the broader policy response will matter too, it added. That’s all for the moment folks! Keep reading, keep it ‘crude’! © Gaurav Sharma, October, 2014. Photo 1: Keystone XL pipeline © CAPP / Fox News as featured on the Daily Show. Photo 2: The Democrat hopefuls and John Stewart on the Daily Show. Photo 3: John Stewart’s “Obama & the Pussycrats”, The Daily Show, November 6, 2014 © Comedy Central / Daily Show November, 2014. 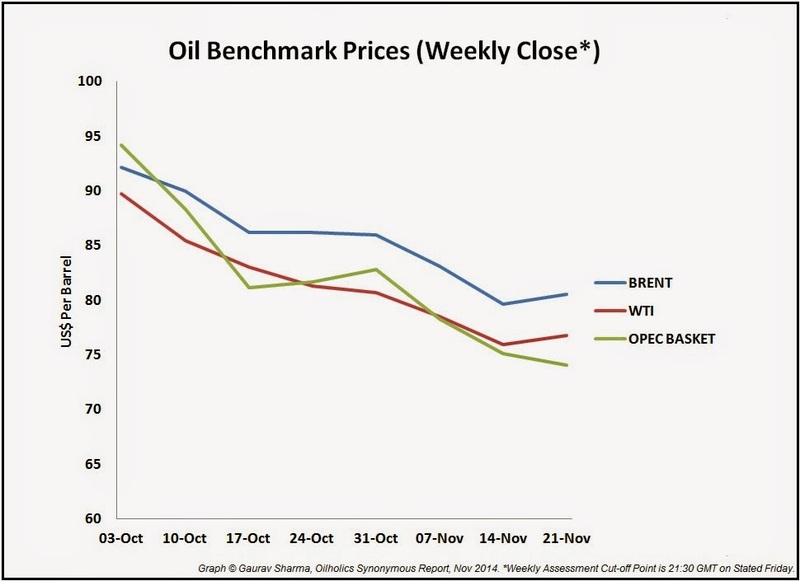 © Graph: Oil benchmark prices 5-day assessment October/November 2014 © Gaurav Sharma 2014. In the challenging world of energy trading, fortune favours the prepared. Whether one is brave enough (or not) comes second and not having a clear strategy would be borderline foolishness. Given such a backdrop, almost inevitably, there are resources aplenty targeting those who feel the need to be better informed and equipped. 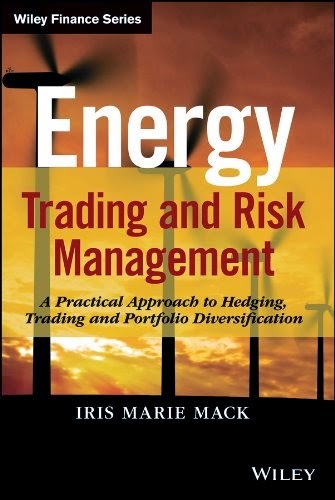 Among the latest reference sources, industry veteran and academic Dr Iris Marie Mack’s book Energy Trading and Risk Management published by Wiley is a pretty compelling one. The Oilholic instantly warmed up to the book barely a chapter in, struck by its practical approach, balanced tone, contextualised narrative and a genuine desire on the author’s part to define terms and methodologies for the benefit of those with a mid-tier investment knowledge base. Furthermore, the instructive narrative seeks to bring about a holistic understanding of how energy markets work to begin with, leading on to an adequate treatment of risk, speculation and portfolio diversity tenets. The format in which Energy Trading and Risk Management is minutely sub-sectioned point to point is simply splendid. So should you wish to salami slice and pick up bits of the subject, it would serve you just as well as a cover to cover read through. Conversely, if you are confident enough to skip the basics and go straight through to concepts and formulas, the sequential flow of text in each chapter helps you breeze through basic definitions usually quoted in boxed text on to what you are after. Accompanying the text are charts, case studies, background briefs, notes on macro drivers and definitions at various points split into ten weighty sub-sectioned chapters in a book of around 270 pages. From contango to the modern portfolio theory, from risk management in the renewables business to mitigation in an ever changing market climate – it’s all there and duly referenced. While the Oilholic appreciated Dr Mack's work in its entirety, a chapter on exotic energy derivatives (which follows a passage on the plain vanilla variety) stood out for this blogger. One would be happy to recommend this title to energy professionals, fellow energy analysts and those with a desire to pursue energy trading as a career pathway. It would most definitely appeal to entrants finding their feet in the market as well as established participants wanting to refresh their thinking and methodologies. Ultimately, for every reader this title is bound to morph from being an informative and educational book at the point of first reading, to an invaluable reference source as and when subsequently needed. 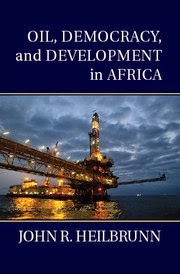 That makes it worthy of any energy sector professional’s bookshelf. © Gaurav Sharma, October, 2014. Photo: Front Cover – Energy Trading and Risk Management © Wiley Publishers, May, 2014.